David Love property is a growing dynamic local company that has been trading in Central Scotland since 2001 in areas like Edinburgh, Dalkeith and Midlothian. 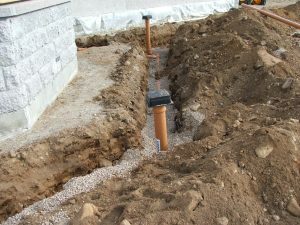 We are a highly dedicated team of plumbers specialised in various drainage works. Our drainage works are aimed towards the domestic and commercial marketplace where we clear both internal and external blockages in drains. We are able to clear blocked drains anywhere in Edinburgh, Dalkeith and Midlothian as the reputed water-jetting specialists with extensive experience and complying with SEPA regulations. At David Love Property, we implement a wide range of tools and equipment that help in clearing various types of blockages. David Love Property was formed to cover areas like Edinburgh, Dalkeith and Midlothian and many other areas beyond. We have a qualified team of plumbers who are currently available for various services in the domestic and commercial sector. We never compromise on the standard and quality of services that we are offering. We provide our services at a competitive price; we do not have any hidden charges. Our plumbers can be out to any job in Edinburgh or Dalkeith within one hour. The on call plumber of David Love Property ensures that the work is completed to a high standard. We do it once and do it right. Clients who are living in areas like Edinburgh, Dalkeith or Midlothian and have a blocked drain always hire the professionals from David Love Property due to their immense dedication towards their work. The team implement modern jetting equipment for clearing drain blockages and deposits from the drainage system. The methods that the plumbers employ are safe and hygienic, not causing any problem to the existing drainage walls and other pipelines. The expert plumbers also provide full range of supporting systems like drain blockage works, blocked toilets, bubbling drains in Dalkeith, Edinburgh and Midlothian areas. 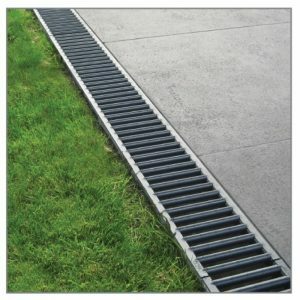 Our main aim is to offer a complete drainage service that our clients can rely on. For further information regarding our services, feel free to leave a mail or call 07413134394 24 hours per day. A blocked drain in the home can create nasty water overflows. You may face problems like the water is not draining properly it is taking too long to drain off. These issues could be solved soon. Our plumbers help in unblocking the drains to allow water to smoothly pass through it. Give us a call and we will be at your property within an hour if you choose to use our emergency service. The team at David Love Property do everything to solve all the drainage works without the need for disruptive drainage excavations. 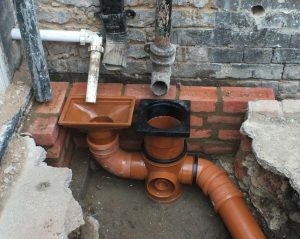 We aim to offer a permanent drain repair with minimal disruption to the property and people. The professional plumbers of David Love Property can use all the equipment necessary for excavations to solve all drain blockage issues if needed. David Love property, founded in 2001, takes pride in providing the best services to the clients at competitive prices. We never compromise quality and complete the task as soon as possible after we arrive on site.